Users can delete own comments using the “My Content and Settings” button located on top left side of the main comment form. This button opens pop-up window with a list of current user all comments and delete buttons. This button also allows Guests to delete own comments with email confirmation. Guests click on [Delete all my comments] button and receive a “Delete all comments” link on the email address they used to post comments. In this way guests confirm ownership of comments they want to delete and they do that securely. 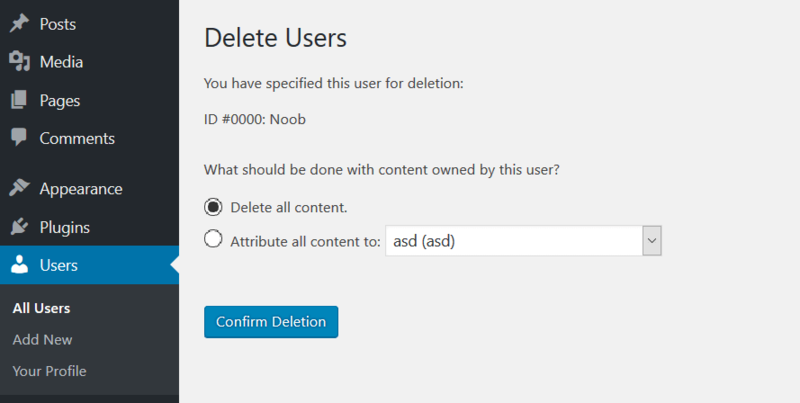 WordPress allows you to delete a member from the Dashboard > Users admin page. If a user has posted some comments, you can select to delete the content, or keep it but remove the author’s details thereby attributing all content to another user. In case you need to delete not registered commenter comments you should use the WordPress comment moderation admin page (Dashboard > Comments). Just search comments by email and using the bulk actions delete them.